1010 This is one of the most widely used low carbon steels for low strength applications. It is best suited for parts whose fabrication involves moderate to severe forming and some machining. 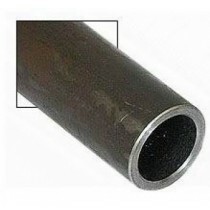 Its weldability is excellent and it can be case hardened for wear resistance by cyaniding. 1018 is a popular carburizing grade of steel. It can be strengthened by cold working or surface hardened by carburizing or cyaniding. It is relatively soft and has good weldability and formability. 1020 is a general-purpose low-carbon “mild” steel. It is easy to fabricate by the usual methods such as mild cold or hot forming and welding. It is weldable by all processes and the resulting welds are of extremely high quality. 4130 This chromium-molybdenum alloy is one of the most widely used aircraft steels because of its combination of weldability, ease of fabrication and mild hardenability. In relatively thin sections, it may be heat treated to high strength levels. In the normalized condition it has adequate strength for many applications. It may be nitrided for resistance to wear and abrasion. 4140 This chromium-molybdenum alloy is a deep hardening steel used where strength and impact toughness are required. It has high fatigue strength making it suitable for critical stressed applications. It may be nitrided for increased resistance to wear and abrasion. 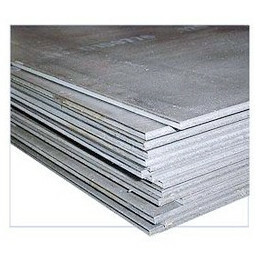 4340 This chromium-nickel-molybdenum alloy is a widely used deep-hardening steel. It possesses remarkable ductility and toughness. With its high alloy content uniform hardness is developed by heat treatment in relatively heavy sections. Its high fatigue strength makes it ideal for highly stressed parts. 6150 This chromium-vanadium alloy steel is similar to 4340. It has good hardenability, good fatigue properties and excellent resistance to impact and abrasion. 8620 This is a “triple alloy” chromium-nickel-molybdenum steel. It is readily carburized. It may be heat treated to produce a strong, tough core and high case hardness. It has excellent machinability and responds well to polishing operations. It is easily welded by any of the common welding processes, although the section should be heated and stress relieved after welding. 9310 This chromium-nickel-molybdenum alloy is a carburizing steel capable of attaining high case hardness with high core strength. It has excellent toughness and ductility. 4620 This nickel-molybdenum alloy is a carburizing steel capable of developing high case hardness and core toughness. It can be forged similarly to the other carburizing grades. Because of its relatively high nickel content, it is not as readily cold-formed. 5160 This carbon-chromium grade of spring steel has a high yield/tensile strength ratio, excellent toughness and high ductility. It is very difficult to machine in the as-rolled condition and should be annealed prior to machining. It is not readily welded, but it can be welded by either the gas or arc welding processes if the section involved is preheated and stress relieved after welding. 52100 This high carbon-high chromium alloy is produced by the electric furnace process and then vacuum degassed to meet the rigid standards of the aircraft industry for bearing applications. It develops high hardness and has exceptional resistance to wear and abrasion. Specification MIL-S-18729C states that 4130 steel .749 inch and less in thickness shall withstand bending without cracking at room temperature, with the axis of bending transverse to the direction of rolling, through an angle as indicated in the table. Condition N materials shall be bent around a diameter three times the thickness of the material. Test samples are bent cold either by pressure or blows. In the event of dispute, bending shall be by pressure. Paragraph 4.5.3 of the specification states that the formation of cracks not over 1/16" in aggregate lengths at the corners on the outside of the bend shall not be cause for rejection. ACIER (US) Il y a 1 produit. 4130 is a chromium-molybdenum general purpose alloy steel tubing that is weldable and is capable of developing good strength. It has been for years the standard of the aircraft industry. Tensile Strength: 90,000 PSI. The stock sizes listed below can be furnished in lengths from 1 foot to 12 feet. Large orders are filled in random lengths from 10 to 12 feet unless specific lengths are requested. No charge is made for cutting stock sizes of tubing to mailable length.